In No Great Hurry. 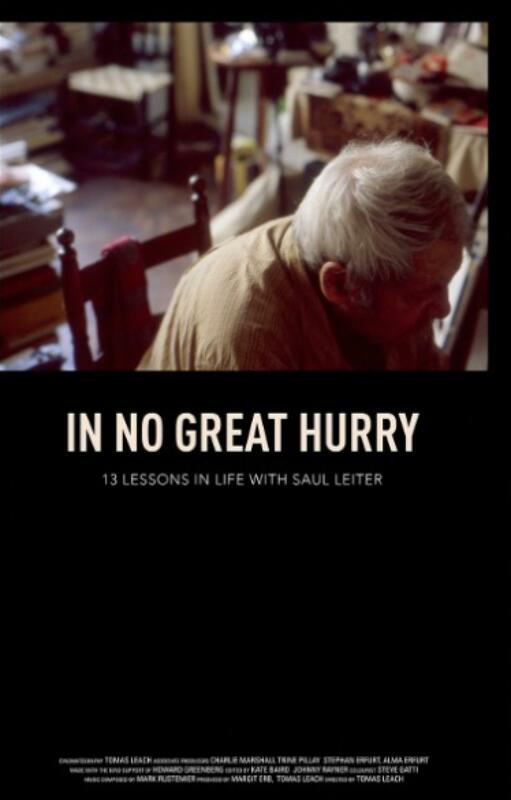 13 Lessons in Life with Saul Leiter is a fascinating documentary from 2012 on one of the 20th century’s most beloved street photographers, Saul Leiter (1923–2013). Leiter – a contemporary of Diane Arbus and Richard Avedon – could have been celebrated as the great pioneer of colour photography long ago (his fashion work was published in Harper’s Bazaar and Esquire), but he was never driven by the lure of conventional success. 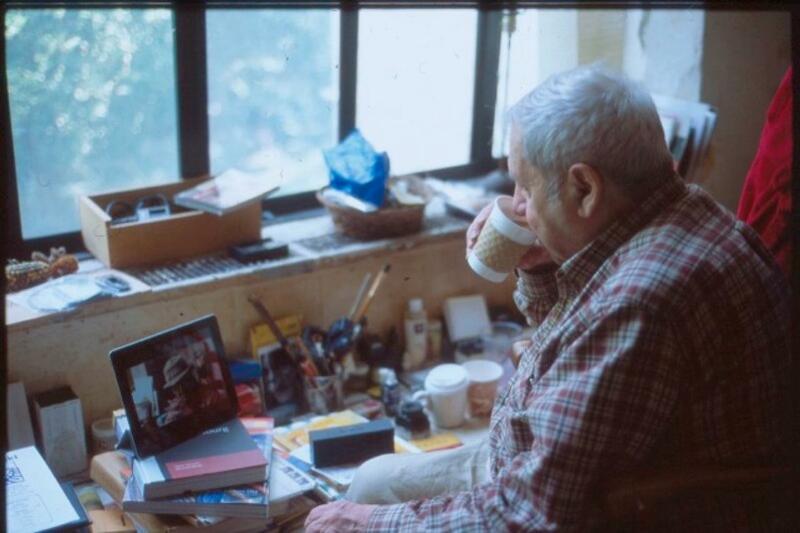 Instead he preferred to drink coffee and photograph in his own way, amassing an archive of gorgeous work piled high in his New York City apartment. Intimate and beautifully rendered, In No Great Hurry follows Saul as he deals with the triple burden of clearing a houseful of memories, becoming world-famous in his eighties, and fending off a pesky filmmaker called Tomas Leach.